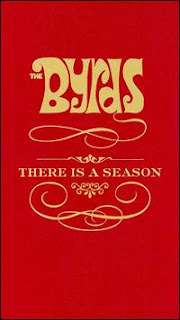 There is a Season provides us with a stunning portrait of the development of the Byrds’ signature sound---jingle-jangle guitars, breathtaking harmonies, and constant experimentation with musical forms. We get to see a group of folkies grow from a Beatles wannabe band to one that never ceased experimenting with diverse musical forms, despite numerous personnel changes and internal tensions that would choke a horse. History has not been especially kind to the memory of the Byrds, but we are finally beginning to understand how the creative tensions impacted the end product over the years. The 4 CDs are arranged in chronological order with the first disc focusing on the original 5 members, with subsequent discs featuring various incarnations of the group’s revolving-door membership.